Welcome to the 441st Inspire Me Tuesday. Tons of pretty room makeovers, diy projects and good food last week. Here is a small sample. I really love a pretty porch to welcome my guests and this one from House of Hawthornes is gorgeous and done on a budget. Need some pretty pumpkins without spending a fortune. Check out these Dollar Store Pumpkin makeovers from Le Cultivateur. 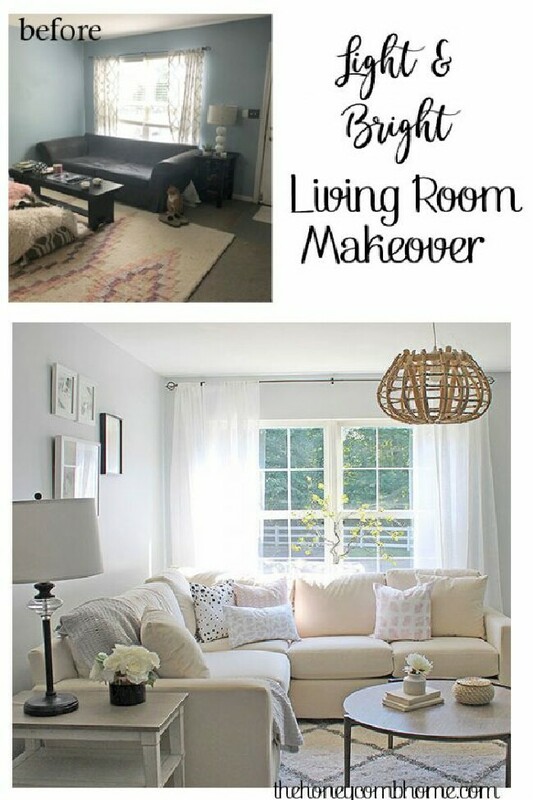 We all love a beautiful room makeover. This one is definitely beautiful. Check it out at The Honeycomb Home. Love this kitchen from Clover House. Check out her tutorial for that wonderful Dollar Tree Wreath on the door. So many pretty posts! Thanks for hosting each week! Thank for Hosting Marty. It was fun to join in this week. Going back to look at some of the inspiration here. Great features. The striped ticking pumpkins especially caught my eye. Thank you for continuing on with your party even when so many other haven't. I appreciate a place to share. Thanks for hosting Marty...great features and have a beautiful week! Thank you for hosting again this week. Very creative links. Thank you Marty for your 441st Inspire Me Tuesday. Happy Fall. I am so glad to hear your back is so much better. I just found out yesterday that my son is going to have to have scoliosis surgery, so I was excited (maybe the wrong word?) to hear that you felt your back surgery was worth it! 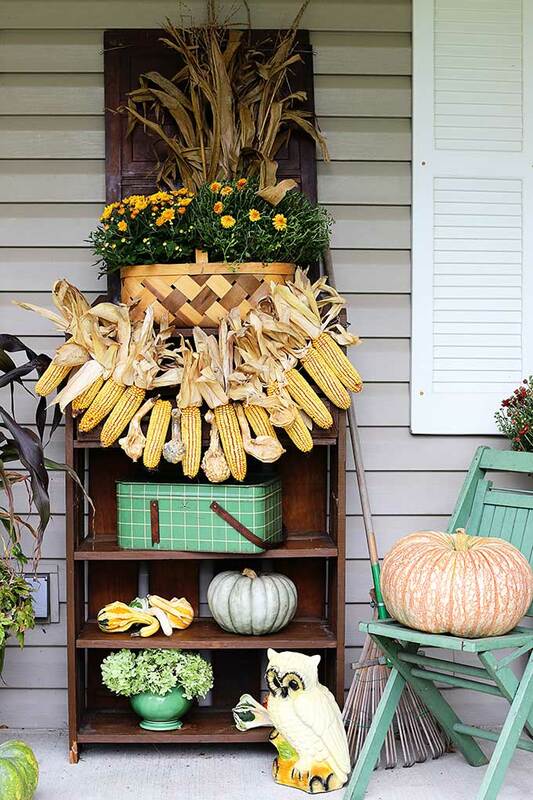 And thank you so much for featuring my fall porch! 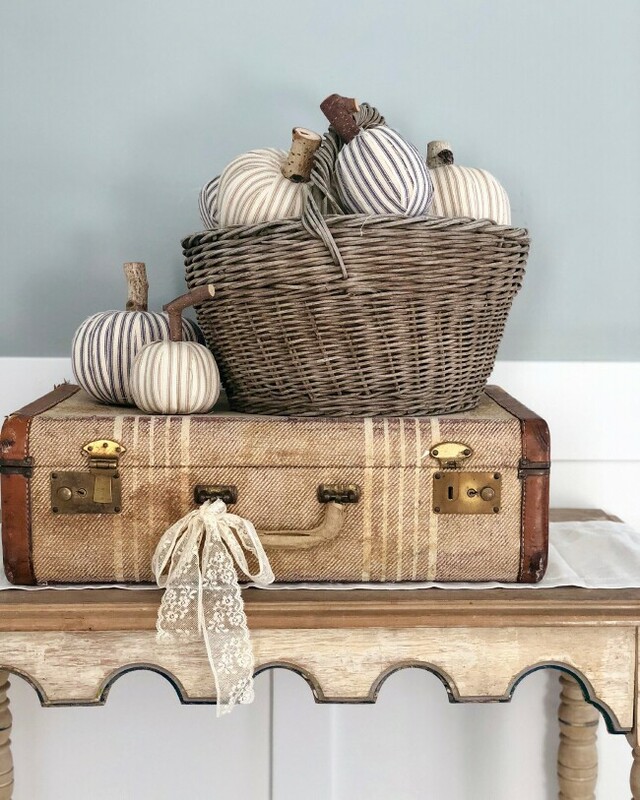 Marty, thank you so much for featuring my fabric pumpkins! !